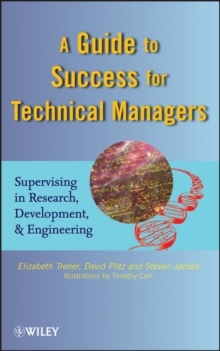 Supervisory Skills for the Technical Manager: A Guide to Success focuses exclusively on the dynamics of being a technical manager such as a scientist, programmer, or engineer. An R&D environment demands modified management techniques and this book explores how to do so. Drawing of years of experience to provide technical managers with various tools and ways to apply them in supervisory situation, this essential title includes exercises, templates and checklists to accelerate their uses and applications on the job. In addition, case studies are included throughout to thoroughly explain and explore the concepts discussed. Key topics include handing the transition to supervising others in research and development, the characteristics needed to motivate personnel in a R&D environment as compared to other areas of business are detailed. The pitfalls and challenges of managing technical personnel, how delegating can build an effective team that can produce superior results, and how to monitor the work of previously independent personnel are also discussed.